STAMFORD, Connecticut -- HARMAN International Industries, Incorporated (NYSE:HAR), the premier infotment and audio group, today announced the successful completion of its acquisition of AMX LLC, from The Duchossois Group, Inc. for $365 million. Richardson, Texas-based AMX is the leading provider of enterprise control and automation systems as well as audio/video switching and distributing solutions and will be integrated into HARMAN’s professional offerings servicing audio, video and IT professionals. 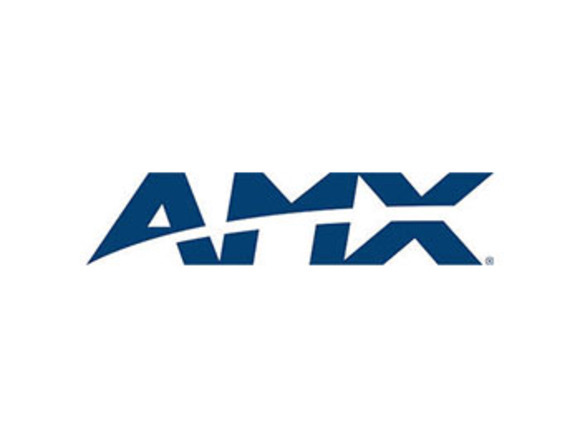 Founded in 1982 AMX’s hardware and proprietary software solutions simplify the way people interact with technology and are implemented worldwide throughout a variety of enterprises and venues such as conference rooms, hotels, classrooms, network operation / command centers, entertainment venues and broadcast facilities. AMX employs more than 600 people across its operations in 19 locations worldwide. AMX products and operations will be integrated into HARMAN’s Professional division, the professional audio and lighting unit of HARMAN, featuring legendary brands like AKG®, BSS Audio®, Crown® amplifiers, dbx®, JBL® Professional, Lexicon®, Soundcraft®, Studer® and Martin® lighting. As with other product brands in the HARMAN Professional portfolio it will be referred to as AMX by HARMAN. HARMAN’s Professional division designs, manufactures and markets leading professional audio and lighting products for recording and broadcast, musicians, cinema, touring sound, commercial applications like airports, stadiums, hotels and concert halls. HARMAN systems are installed in world renowned entertainment and hospitality complexes, transportation centers, and cultural and academic institutions around the globe.